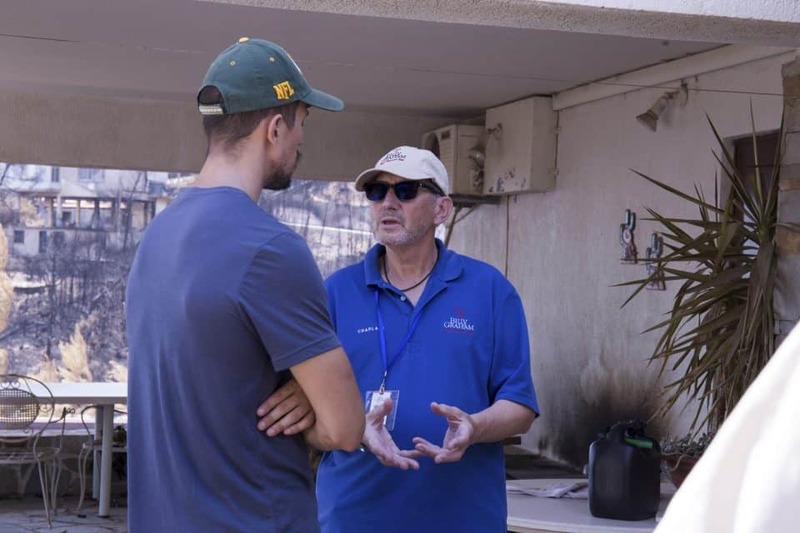 The Billy Graham Rapid Response Team (RRT) is ministering in Mati, Greece, after wildfires raged through the resort town last week. Nearly 100 people in the seaside village and surrounding areas lost their lives due to the infernos, and many more are injured. 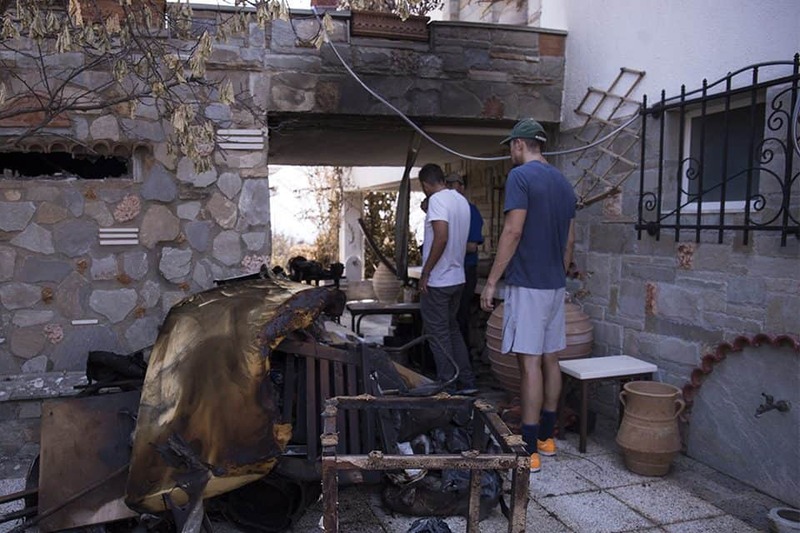 Strong winds spread flames through the Attica region of Greece on July 23, causing the country’s deadliest wildfires in years. 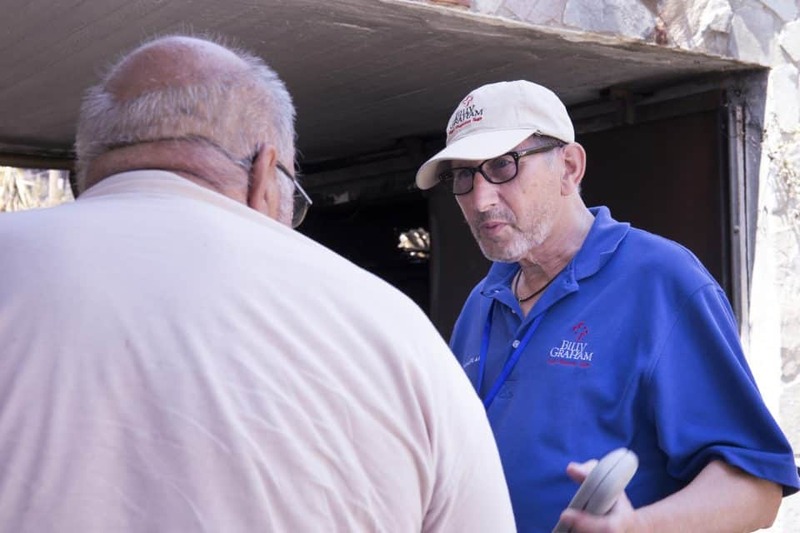 U.S.-based chaplains with the Billy Graham Rapid Response Team (RRT) are in the area, offering emotional and spiritual care to those hurting. Nearly 100 people have been reported dead with many more injured. Officials expect the death toll to rise as more bodies are uncovered in the destruction. Hundreds fled their homes on foot or by car while others tried to escape the blaze by swimming out to sea. Some of the deceased were found in a field along the charred seaside village of Mati. The resort town is said to be one of the hardest hit areas of the blaze. 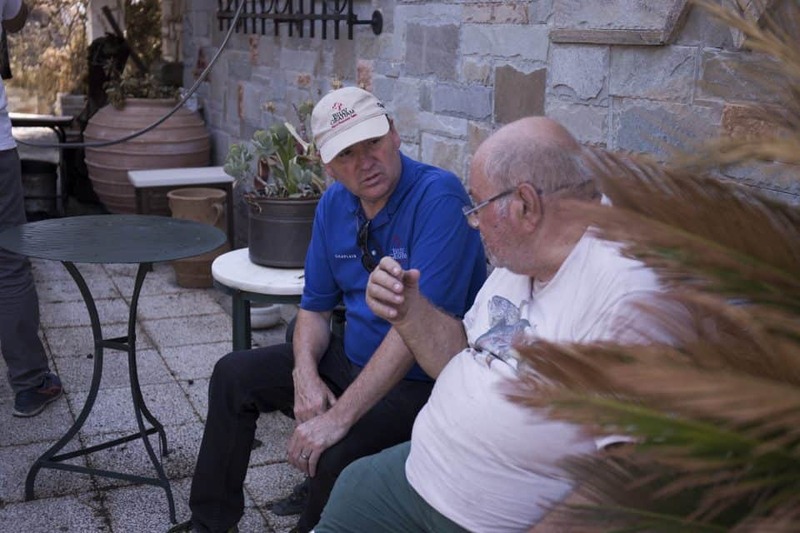 The U.S. RRT is partnering with BGEA’s U.K. office in sending crisis-trained chaplains to the devastated areas. “This will be a tremendous help for the already stretched churches in Athens,” said Hans Mannegran, BGEA director of European affairs. This is the RRT’s first deployment outside of North America in 2018. 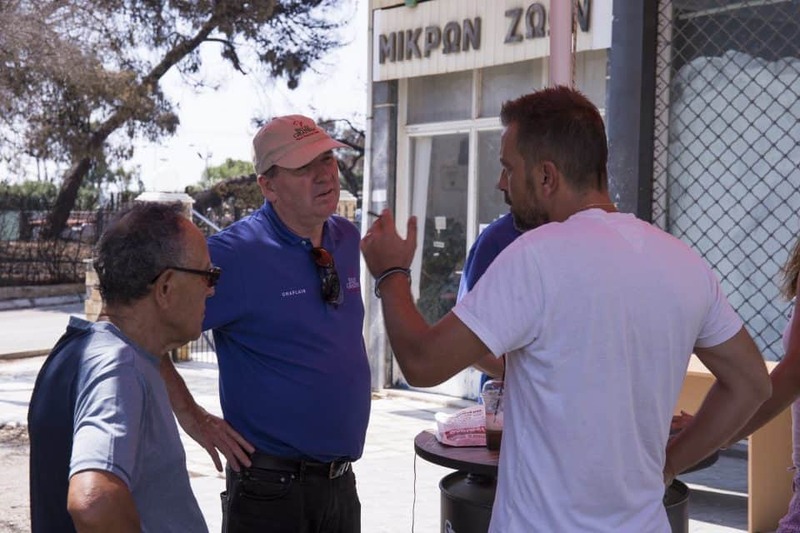 While BGEA and Samaritan’s Purse already have a presence in Greece and relationships with multiple church leaders, chaplains are coming to “help equip churches for longterm ministry,” said RRT International Director Jack Munday. He added that the RRT desires to follow Jesus’ example. “When Jesus saw the multitudes, He was moved with compassion. That’s our model for our method of ministry,” Munday explained. Chaplains sent from BGEA’s U.S. and U.K. offices are offering emotional and spiritual care to those hurting. 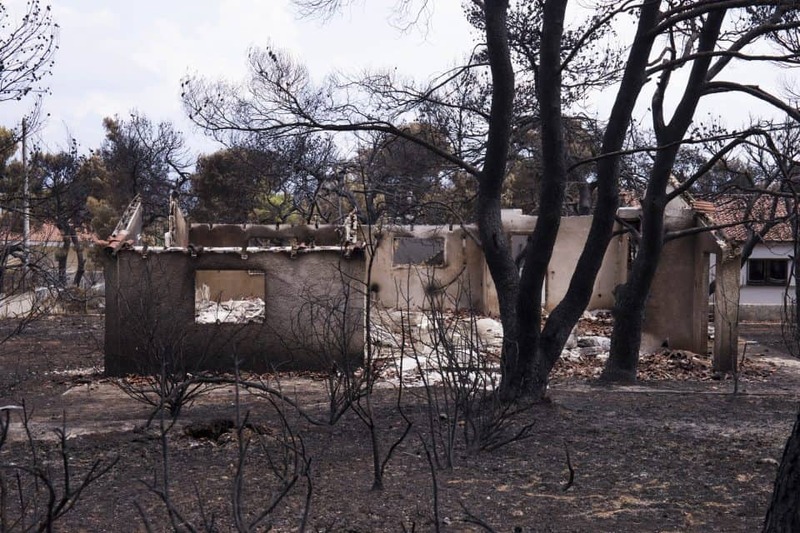 News reports say the fire was likely caused by arsonists, and weather conditions combined with the village’s few escape routes intensified the devastation. Just 18 miles east of Athens, the resort town is nearby a melting pot of people from various countries. A ministry of presence is offered for those needing a listening ear or word of encouragement. “You think you’re actually in a war zone,” said one man in the midst of the charred landscape. Despite devastation to her own home and neighborhood, Dionysia was quick to donate clothing to those who had less than she did and even offered drinks to the chaplains. A chaplain walks with two men through the smoldered ashes around a building. 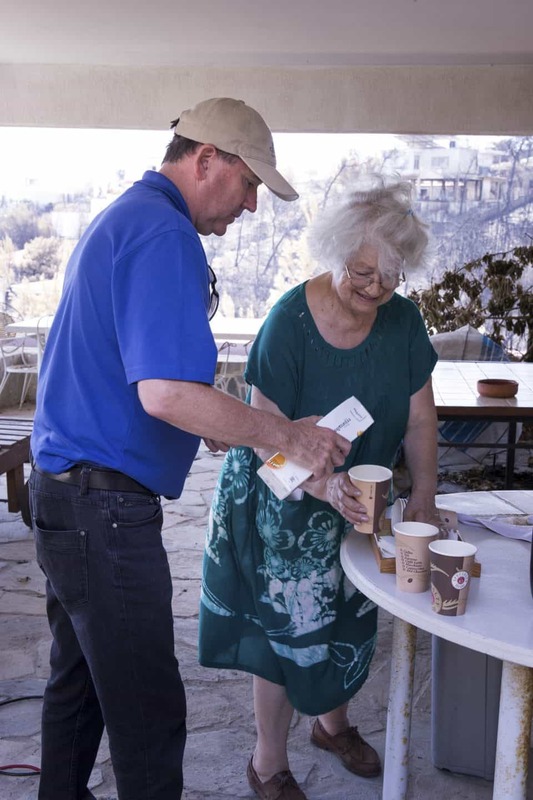 Across the world in Redding, California, more chaplains are serving in response to fatal wildfires. 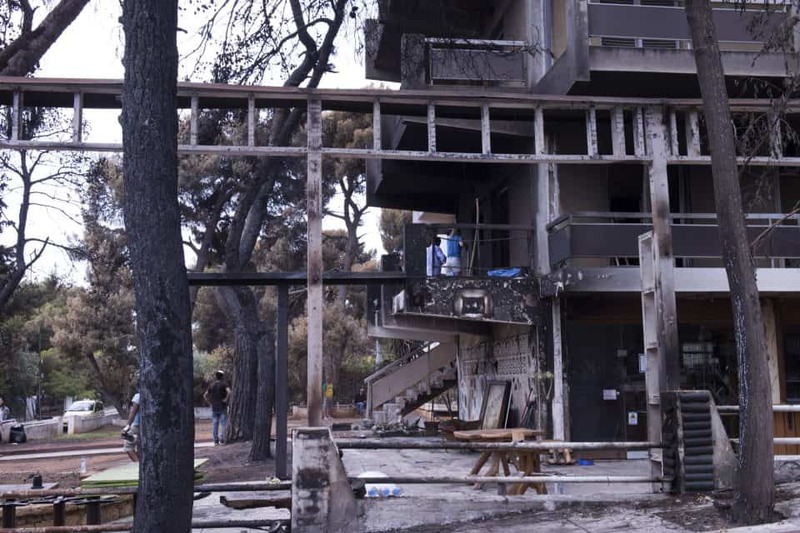 “I thought I was going to die.”Crisis-trained chaplains Phil and Pam Rhodes have heard those words over and over again after arriving in Greece, and many residents are still in shock after narrowly escaping the blaze. “A whirlwind of events happened in 45 minutes,” Phil said, mentioning older residents said they hadn’t seen such strong winds in 52 years. 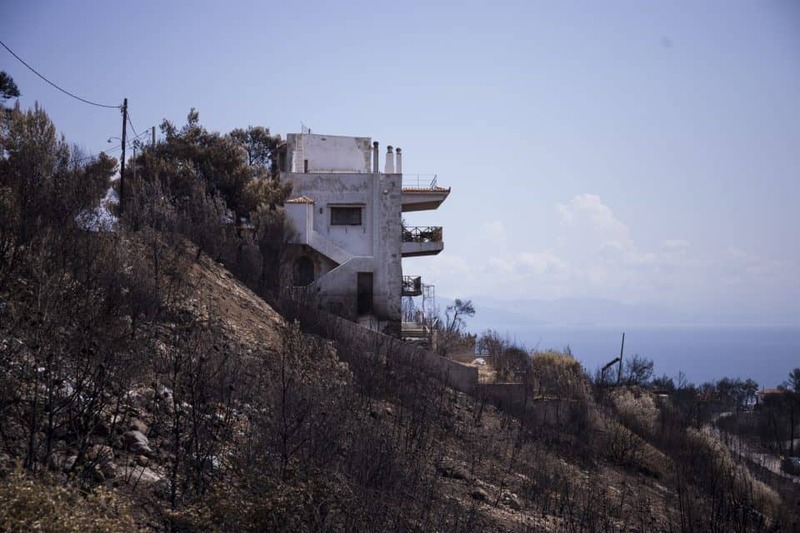 Gale force winds blowing from the hills to the ocean spread the inferno from one building to another while residents frantically tried to reach safety. Several used the sea as a refuge, running to the ocean and jumping in the water. They swam for hours until help arrived. Others tried to leave the village by car, and many ended up abandoning their vehicles and “running out of their shoes,” according to one resident. Dozens of people lost their lives in the community where just about everybody knows each other. A teenage girl died after jumping off a 13-foot cliff, trying to reach the sea. Others died in their cars, and 26 people were found dead after huddling together in a burning building. “There was total chaos,” Phil said, describing accounts he’s heard. Due to the smoke, people had trouble seeing to escape. In addition, the seaside community’s small, narrow roads caused a major traffic jam. For the past several days, she and her husband have talked with community members and law enforcement officers. One woman named Alena pulled her car over to talk with the chaplains, surprised they’d come all this way to bring hope to others. Alena explained how she was away on vacation when her mother called her, saying she was going to die in the flames that surrounded her home. 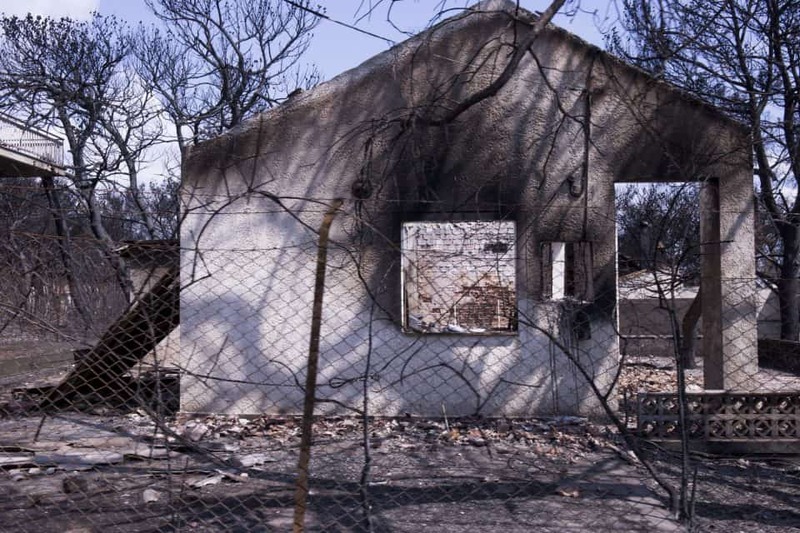 And God answered—both her mom and the home were untouched by the fire. She and her husband have seen such strength in these loving Greeks and know recovery is coming in the days ahead. “We want everyone to know no matter what the situation, we bring hope in the name of Jesus Christ,” chaplain Chris Smith said. Please continue to pray for all those affected by these fires.